La-La Land Records will offer an expanded, limited edition soundtrack of David Arnold’s score for Die Another Day, the company said on Twitter. The soundtrack will be offered beginning at 12 noon, Los Angeles time (3 p.m. New York time) on Tuesday, Nov. 28 at the La-La Land Records website, http://lalalandrecords.com/. 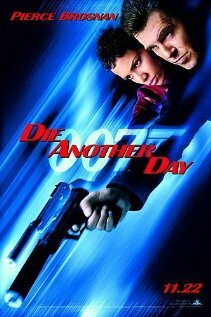 The original 2002 soundtrack for Die Another Day was issued on a single disc. The expanded soundtrack will be on two discs. The price is $29.98, according to La-La Land’s Facebook page (which also has a track list). The expanded soundtrack is being limited to 5,000 sets. The expanded soundtrack has more than 148 minutes of music. The announcement on Twitter, which was made shortly after midnight Los Angeles time by La-La Land to coincide with the start of “Black Friday,” the beginning of the Christmas shopping season. La-La Land Records earlier this year began selling a four-disc soundtrack set from The Wild Wild West (limited to 1,000 sets). It also previously began offering a six-disc soundtrack from the Mission: Impossible television series (limited to 1,500 sets). Fantastic news! This will be the first 007 soundtrack expanded release since 2003! This is a good score and I will be ordering it on Tuesday to support future 007 soundtrack reissues!!! I’m very excited about this release and the possibility of future ones. Hopefully Moonraker is next! Thank you La La Land Records for making this impossible release possible!! !